If you spend a lot of time travelling, firstly, you’ve come to the right place. And secondly, you will be well aware of the advantages travel gadgets can bring to any adventure you embark on. If you’re headed for a getaway, no trip is complete without a couple of digital accessories. Here are 10 of our favourite sidekicks to help make your journey as stress-free as possible. As a company that works in travel, you better believe we have tried and tested our fair share of suitcases. And we know better than anyone, a good one can make all the difference. If you aren’t familiar with the innovative styling of this luggage brand, you’re probably aware of some of their other incredible successful inventions – like, say, the Swiss army knife? Like the knife, their range of Connex luggage is designed with the same level of finesse, utilising on high quality materials with a striking, linear design. As the name Connex suggests, the hard and soft side cases are perfectly connected, allowing for customers to mix and match across the collection. They are also available in 100% pure polycarbonate or polyester, both lightweight yet extremely strong. And as far as state-of-the art components go, their extra-quiet wheels and integrated multi-tool for on-the-go charging of electronic devices is top of the range. Imagine that, never running out of battery during your travels again! According to research conducted by Booking.com, two thirds of Aussies believe they’re wasting their holidays, citing language barriers as their biggest obstacle. To help travellers overcome this, the website partnered with ili, a device that will make you think you’re living in an episode of Black Mirror. 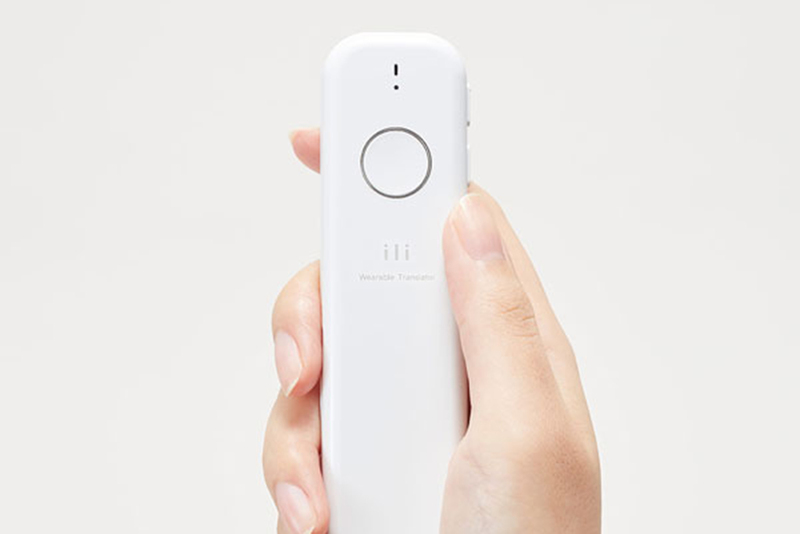 ili is a hand-held translator that lets you speak English directly into its microphone and have your words translated into Japanese, Mandarin or Spanish. 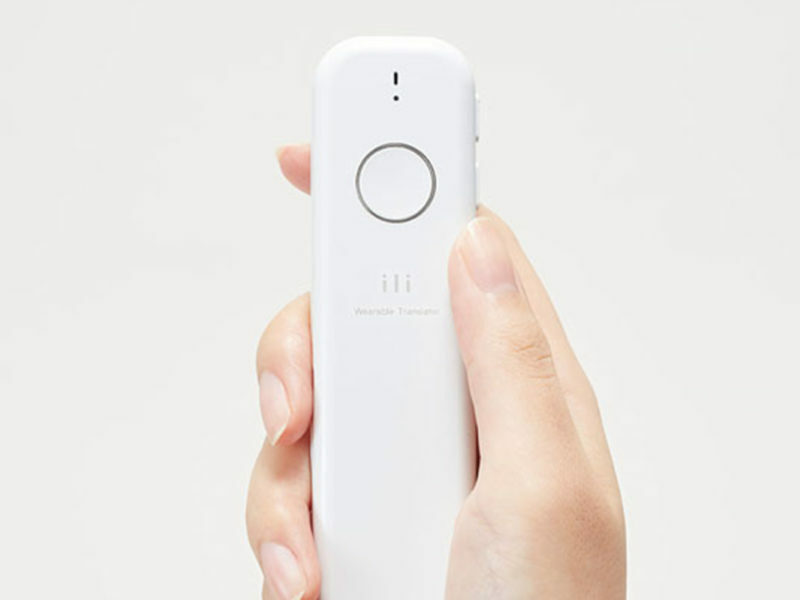 Not only is ili super-fast, giving you answers in as little as 0.2 seconds, but – and here’s the beauty of this device – it also requires zero internet connection. Need directions in a foreign country? Unable to order food at a restaurant? Need to communicate with locals in lesser-known towns? ili can help you with that. For most travellers, carrying a heavy backpack all day is just an unfortunate reality – and so are the trips to the chiropractor that come as a result. That’s why Super Straps are the new necessity. The ergonomic design that retrofits to your backpack can lighten your load by up to 47 per cent, instantly relieving shoulder, back and neck tension when your bag gets heavy. For those keen on facts and science, we got you. Super Straps work by creating an arc that helps distribute the weight of your backpack across five times its surface area. After attaching them, you pull on the cords to shift the entire weight closer to your spine. Your posture will thank you later. Is there anything worse than a cracked phone screen? We think not. Investing in a glass screen protector is a basic necessity for all tech-savvy travellers. This titanium armour and liquid glass screen protector from Slick Gadget creates a durable coating for your number one travel accessory. The device repels oil and water, plus it is antimicrobial, heat tolerant, flexible and breathable. It is also 500 times thinner than a human hair… Weird? Yes. Cool? Also yes. Considering how much we rely on our phones these days, the assurance that comes with guaranteed screen protection basically pays for itself. When you’re a traveller, the key to looking like you have it all together (and haven’t spent the last two weeks running for planes and trains), is clean clothes. Enter Scrubba, the pocket-size washing machine. The key to Scrubba is its unique design. The flexible internal washboard provides a machine quality wash in just minutes, making it the perfect accessory for busy travellers, outdoor adventurers and campers. Described as a modern take on those old-fashioned washboards, it only takes Scrubba six steps to send your clothes from zero to hero. Simply fill, roll and clip, deflate, rub, rinse and dry. And you won’t throw your back out while doing it. Another key to looking like you have it all figured out, is when your clean clothes are also ironed. The Pakmaster, created by Victorinox Travel Gear, is a clever and practical accessory designed for crease-resistant packing, and will save the day in any sartorial emergency. The device ensures shirts, blouses, trousers, jackets and everything in between, arrives at your destination with almost no wrinkles. A board eases the task of folding, as the accessory opens flat for effortless positioning of garments. The FixnZip is a replacement zipper slider that you can install sans tools or sewing. It works on a wide range of travel and outdoor recreation items including luggage, tents, duffle bags, dresses, pants, skirts, handbags and sleeping bags. The device comes in three sizes: small, medium and large, and like a metal chameleon, each FixnZip has the ability to fit an array of different zippers. When any app creates a solution to an old-world problem, you know it’s going to be a game-changer. Enter, LOFO: the first global centralised market place for people to find their lost items or pets. In short, LOFO is a lost and found app, helping the 78,000 Australians that lose an item every day. The intelligent active matching algorithm will match lost items with found ones based on the information provided: such as location, colour etc. With both the loser and the finder receiving an instant notification of the match. While there is an array of things that can go right at the beach, there’s also an array of things that can go very wrong. And getting sand everywhere is definitely one of them. By investing in a sand-free mat, like the Quicksand Mat, travellers can watch sand, dirt and dust disappear before their very eyes. The double layer weave is made from 100 per cent PE fabric, making it perfect for both camping and the beach. It also comes complete with four schmick D-rings around the outer, allowing it to be firmly affixed to the ground. And should you have a little too much fun on your mat, rest assured. They can be easily cleaned and dried. When an item’s popularity stems from an appearance (and subsequent investment) on Shark Tank, you know it’s good. For those who have better things to do than watch a business-themed reality TV show, allow me to introduce you to the LuminAID. Basically, this handy contraption exists as a solar-rechargeable light that inflates to diffuse light like a lantern. It’s perfect for camping, hiking, and all other times light is required. When fully powered, the highly efficient battery can last for up to 16 hours on the low setting, and eight to 10 hours on high. It’s also waterproof, lightweight and extremely entertaining to look at. If you’re reading this article, chances are you love to travel. But with an affinity for travel can come a lot of time attempting to sleep on planes. If you’re like us, and the idea of using inflatable and bean-filled pillows sends a shiver down your spine, you best keep reading. The Trtl Pillow is the answer to all of your plane-sleeping-woes. Upon initial inspection, it looks like a neck brace, which features an H-shaped wire support system that can support your head during rest. Not only is the Trtl a scientifically proven long-haul neck support pillow, but it is half the size of a traditional travel pillow, machine washable and can be easily attached to luggage. There are already plenty of food-related camping hacks that can come in very handy on the camping trail, but when it comes to water, it’s best not to take shortcuts. The SteriPEN is the world’s leading manufacturer of ultraviolet, handheld water purifiers – and if you’re into H20 health – an extremely necessary investment. The device charges by USB and when on a full battery, will treat up to 50 litres of water. It’s also extremely simple to use: just put one end into the water you’re attempting to treat, swirl it around a few times and voilà. Safe drinking water for travel, outdoor recreation and home emergencies.